Here're videos, songs, links and news about our fantastic dance music collective. Apple Music, Google Music, Yandex Music, Spotify etc. We will be very glad any feedback, so write us comments and emails. 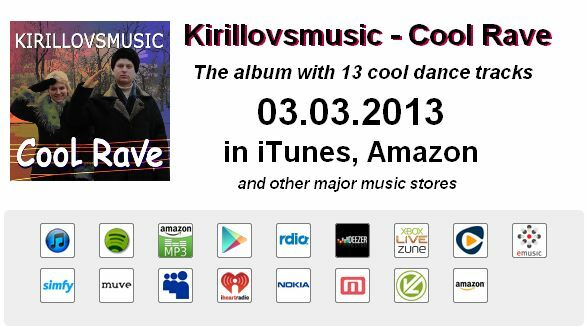 03.03.2013 the album Kirillovsmusic - Cool Rave released. 13 tracks. Only dance music in different genres. But it's not just a music, there are songs made in the best traditions of 90th: with rap, powerfull vocal and other special effects :) The album available in iTunes, Amazon and other online stores. Here's video from "The Dancing Man" TV-show. New videos are coming soon! Kirillovsmusic - Cool Rave in iTunes for all happy users of Apple devices. 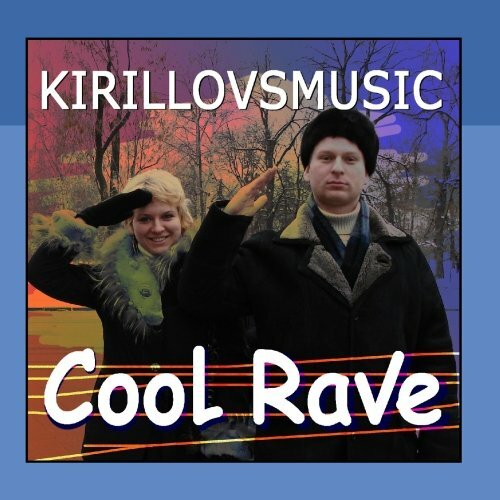 Kirillovsmusic - Cool Rave in Amazon if you prefer DRM-free mp3. Kirillovsmusic on SoundCloud. A lot of unreleased compositions, new experimental tracks and co-works. Kirillovsmusic channel at YouTube.com, where you can find our music video and a lot of other staff.